DeMint Increases Clout By Banking On Conservatives Conservative Republicans have a new champion: Sen. Jim DeMint of South Carolina, whose strategy in the midterm elections has given him new clout in the Republican Party. Behind DeMint's ascent is a combination of faith and fundraising. Conservative Republicans have a new champion: Sen. Jim DeMint of South Carolina, whose strategy in the midterm elections has given him new clout in the Republican Party. 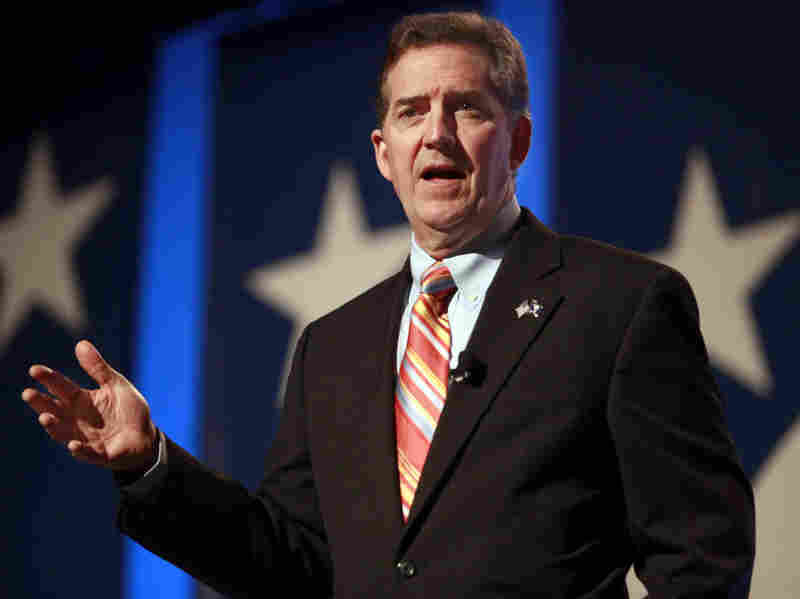 A combination of faith and fundraising is behind DeMint's ascent. The Family Research Council this week called on its followers to pray for him. Tom McClusky, the head of FRC Action, the council's lobbying arm, says it's the first time they have asked their followers to pray for one politician -- and the response has been "fantastic." "Already we have a few tens of thousands of people who have responded that they will pray for Sen. DeMint," he said. "We just hope that it keeps on building until the new Congress begins." The midterm elections showed how DeMint can tap that base of social conservatives -- and fiscal conservatives -- for campaign cash. DeMint himself easily won re-election. Mostly, he was mobilizing his backers to put Tea Party conservatives into office. DeMint has a political committee, the Senate Conservatives Fund, that is separate from his Senate campaign committee. And this year it focused on 11 candidates -- none of them incumbents -- often starting in primaries in which they opposed establishment Republicans. Six of DeMint's candidates lost. But five of them won. McClusky says they are "well-rounded conservatives." "And for that, instead of being lauded, he's being attacked and he's being maligned by some of his own colleagues," McClusky says. The Senate Conservatives Fund gave each of the five newcomers between $200,000 and $600,000. DeMint mentioned that on election night -- along with his favorite Web address: "It's a little website, SenateConservatives.com. The average contribution is $45 and we've raised $5 1/2 million for candidates." The fund is what's called a leadership PAC -- a fundraising entity that politicians use to burnish their images and build alliances by giving each other campaign cash. But DeMint's Senate Conservatives Fund isn't like the others. First of all, it gets just 2 percent of its money from the usual Washington players -- that is, from political action committees operated by corporations and trade associations. That 2 percent stacks up against 77 percent for a traditional leadership PAC -- the Bluegrass Committee of Senate Republican leader Mitch McConnell, who has been looking over his shoulder at DeMint. The Senate Conservatives Fund invites its grass-roots donors to designate their contributions for specific candidates. So the dollars go to the candidates, but they flow through the Senate Conservatives Fund. "DeMint arguably can say he's a pioneer," says Sheila Krumholz, director of the Center for Responsive Politics. "I think he is saying he's a pioneer, reaching out to a national donor base, really generating a fundraising machine." Krumholz says they have seen this strategy work for the Club for Growth on the right and EMILY's List on the left. But never like this for a member of Congress. "His leadership PAC has raised more money than any member in the House or Senate this cycle. He gets to play kingmaker," she says. And that's not even the whole package. DeMint's campaign committee sent nearly $2 million to party committees in states where his candidates were running. At the same time, the Senate Conservatives Fund was running ads -- including one for Joe Miller, the GOP nominee in Alaska, that hit his opponents on abortion. "Scott McAdams and Lisa Murkowski are pro-abortion, and they refuse to oppose using your taxes to pay for it. That's extreme," the ad said. "And Miller knows it's wrong." Now that race is down to a legal battle between Miller, who was on the ballot, and the incumbent, Murkowski, who ran as a write-in. The Senate Conservatives Fund says it has raised $100,000 to help pay Miller's lawyers.